Lately, I have been on a color splash, burst, splurge or whatever you may call it. Letting my guards down and experimenting with colors. My main reason for purchasing this palette was simply because i got tired of using just 2 particular colors (mac swiss chocolate and nyx skinny dip) on my transition area, I really really needed to add to my collection. Seeing that this palette offers a variety of colors, i decided to take my chances and i purchased it. The palette comes in the standard 12 in 1 case which is very similar to sleek palettes... It also includes 2 tiny sponges, which i think i've used once or twice. I hardly use the sponge though, would rather use an eye shadow brush to pack on the color and a fluffy brush to blend. I am in love with this palette for real. The colors are super pigmented, blend easily and have a matte finish. Whether as a transition color or on the lid, the color pay off is amazing provided you use a primer prior to application. 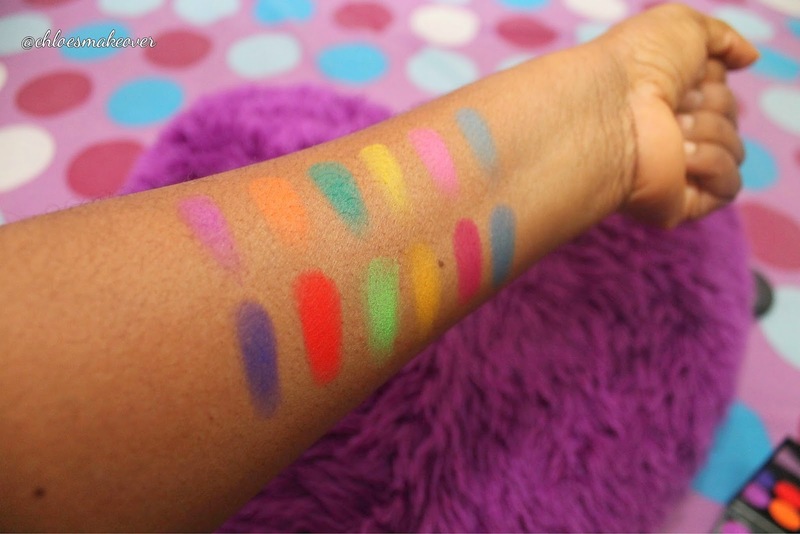 I swatched all 12 colors on my hand and even without a base or primer the colors are popping...I also love this palette because of the matte finish, and all the colors can be worn even in the day time or at night. 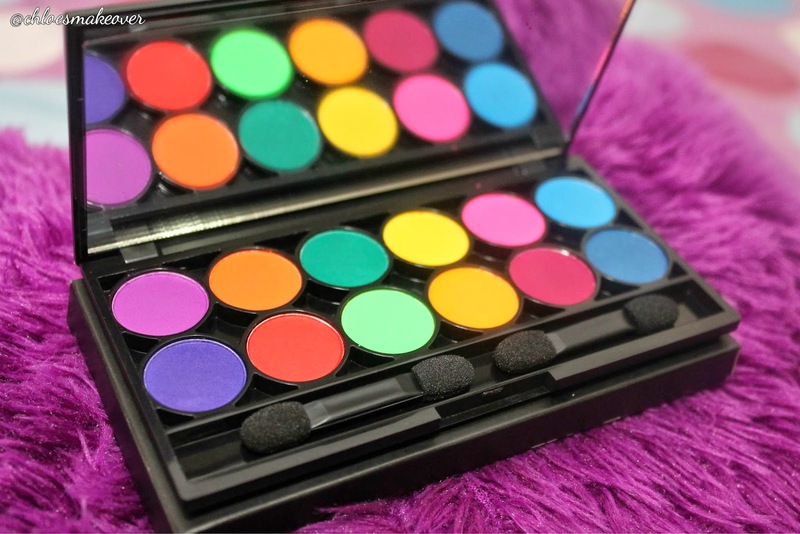 If you love bright colors, without the stress of shimmer then you would love this palette too. I bought this from the House of Tara store at Centro Mall, Lekki Phase1, for N2,700, but it is also available on Jumia for N2,850. beautiful shadow palette, i love, infact i over love it. so matte, and fine. my best pally, now. i have this palette and i love it cause its so pigmented and can can be mixed to produce new colors. i also mix the green color with face primer as corrector on my red face days.